Green Adventuring Double Point Bracelets is a delightful present for you and your cherished ones.Green Aventurine solaces, blends, secures the heart, and can help draw in affection further down the road. It is one of the head stones to pull in luckiness, wealth and achievement. 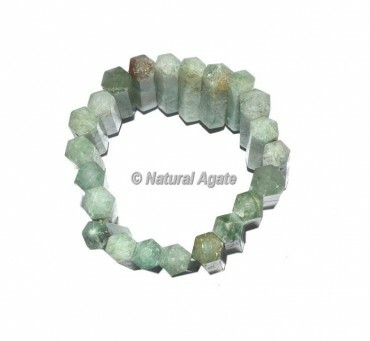 It is useful for working with the Heart Chakra and with the Water Elements. For any exceptional request or changes in plan of item get in touch with us specifically.